May is National Cancer Research Month, but Winship Cancer Institute of Emory University conducts groundbreaking cancer research year-round. One innovative clinical trial, for example, is using the science of personalized cellular therapy to treat children and adults suffering from graft-versus-host-disease (GVHD), a life-threatening complication of bone marrow transplantation. Funded by private support from CURE Childhood Cancer, the study is a collaboration among physician-researchers at Winship, Emory School of Medicine, and Aflac Cancer and Blood Disorders Center at Children’s Healthcare of Atlanta. “This trial represents one of the most innovative clinical trials to arise from the growing partnership between the Hematology and Medical Oncology and Pediatrics departments at Emory School of Medicine, Emory Healthcare, and Children's Healthcare of Atlanta,” says William G. Woods, MD, director of the Aflac Cancer Center. Bone marrow transplantation is performed in some patients with cancers of the blood or bone marrow, including multiple myeloma and leukemia, as well as in some patients with sickle cell disease, thallesemia, aplastic anemia, and inherited immune deficiency. In patients with GVHD, immune lymphocytes from the transplanted bone marrow tissue attack internal organs, causing long-term damage. Symptoms of GVHD include severe abdominal pain, diarrhea, fever, weight loss, skin rash and liver damage. In addition, chronic GVHD can affect the joints, lungs, and other organs. Available therapies designed to suppress the inflammation of GVHD do not work for everyone and can be life-threatening. The occurrence of GVHD after bone marrow transplantation is high, highlighting the need for new therapies. The research team will harvest bone marrow cells from GVHD patients ages 12 to 65. Those cells will be used to manufacture large numbers of personalized autologous marrow cells in the Emory Personalized Immunotherapy Center, a dedicated pharmaceutical grade facility at Emory University Hospital. By infusing large doses of these personalized bone marrow cells into bone marrow transplant recipients, the physician-researchers aim to target sites of inflammation, potentially reducing GVHD in the intestine, liver and skin and limiting long-term organ damage. 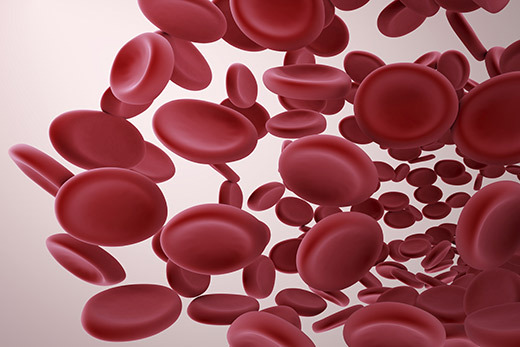 Blood and bone marrow cells have been used for more than a quarter century to treat life-threatening hematological conditions and are now used in established therapies worldwide. The current clinical trial will use mesenchymal stromal cells from the bone marrow, which have been studied more recently for treatment of a wide array of conditions, including autoimmune diseases. The Emory and Children’s study is technologically innovative and closely regulated. The personalized cells are derived from each patient’s own bone marrow rather than using cells from another person, which means the product is more likely to be effective. The team manufactures these cells without using animal products, and the cells are delivered fresh and living. The clinical trial is FDA monitored, and patients will not be charged a fee to receive these cells. Patients will undergo close medical follow-up after treatment. “This represents the first step of a new partnership between Emory and Children's to advance innovative health care for all Georgians—young and old. This is quite literally a new level of care and discovery that is first in Georgia, first in humans and first in children,” says Jacques Galipeau, MD, director of the Emory Personalized Immunotherapy Center, a professor of pediatric hematology-oncology at Emory School of Medicine and member of Aflac Cancer Center at Children’s and Winship Cancer Institute. To contribute to bone marrow transplant research at Winship, contact Ashley Howze, director of development, at ahowze@emory.edu or 404.778.1250.